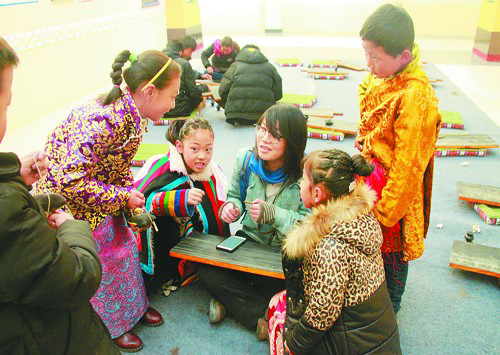 Different from adult calligraphy works, the works on display were meticulously framed in vivid and bright Tibetan style, showing off children's carefree spirit. 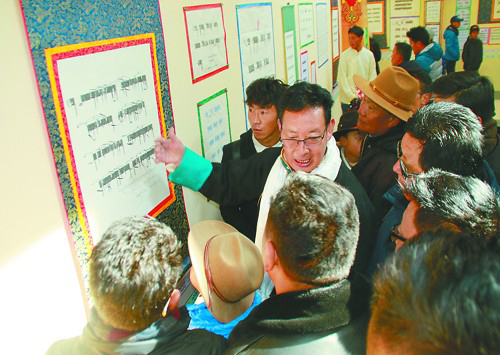 The exhibition presented 1407 pieces of calligraphy works from students of kindergartens, elementary schools, and middle schools in seven cities (prefectures) of Tibet. 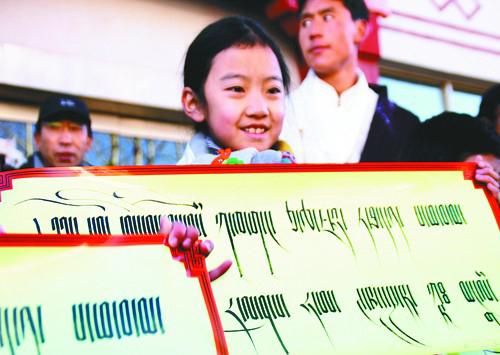 The works are written in various styles of Tibetan calligraphy, such as the Curen style, Wujin style, and Zhuca style, etc. In all the works, ten will be selected as first prize winners, twenty as second prize winners and thirty as third prize winners. Besides, there will be sixty winning the honor prize.